CYPRESS, Calif. – June 8, 2011 – Yamaha’s top selling all-terrain-vehicles (ATVs), the Grizzly 700 FI 4×4 and Grizzly 550 FI 4×4, feature design and performance upgrades for 2012 further solidifying their place as the most off-road capable and durable machines in their respective classes. 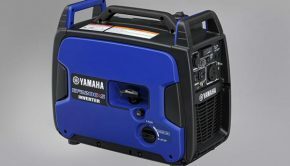 Also new for 2012, both machines are now being assembled in the U.S.A. for worldwide distribution out of Yamaha’s Newnan, Ga., factory. The new 2012 Grizzly 700 and 550 receive new textured plastic body panels that increase durability and decrease wear over the life of the machines. New Maxxis tires with a tough, aggressive tread pattern add to the machines’ unmatched performance in extreme terrain. The updated suspension includes new gas charged rear shocks with a high quality damping feel and improved bump absorption performance. The front suspension has also been updated and optimized to match the rear. Both Grizzlies are offered with Yamaha’s industry-leading Electric Power Steering (EPS). 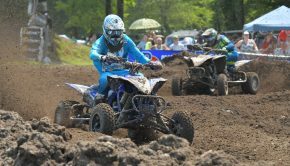 Yamaha was the first manufacturer to put EPS on an ATV – a still relatively new technology that makes for a more comfortable ride and reduces fatigue especially in rough riding and over long periods of time. Yamaha’s EPS system has the perfect balance of light steering and allowing the rider to still feel feedback from the terrain. As the rider turns the handlebars and the torque- and speed-sensing EPS system detects the twisting force put on the handlebars and wheels, the electric motor then responds with the appropriate amount of assistance. The harder you turn, the more the EPS assists. 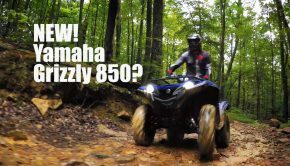 In addition to EPS, Yamaha’s top of the line Grizzly ATVs boast the industry’s toughest Ultramatic™ automatic transmission system. The transmission’s dual speed gearing makes full use of the powerband under a variety of riding situations, and the automatic centrifugal clutch maintains constant belt tension for reduced belt wear and the industry’s most natural feeling all-wheel engine braking. Yamaha’s three-way On-Command® system, featuring push-button 2WD, 4WD and 4WD with differential lock, provides all-four-wheel-drive. The push-button system is easy to engage giving the rider control and confidence over the machine’s power delivery. The Grizzly’s engines feature a forged piston for reduced weight and added durability, while an aluminum cylinder body with ceramic composite coating offers reduced weight, increased cooling ability and additional wear resistance. The roller rocker arms reduce friction in the valve train, which allows the engine to rev more freely leading to better overall performance and improved throttle response. Of course, the ultra-convenient electric start feature continues to make firing the liquid-cooled, four-valve SOHC powerplant to life a snap. 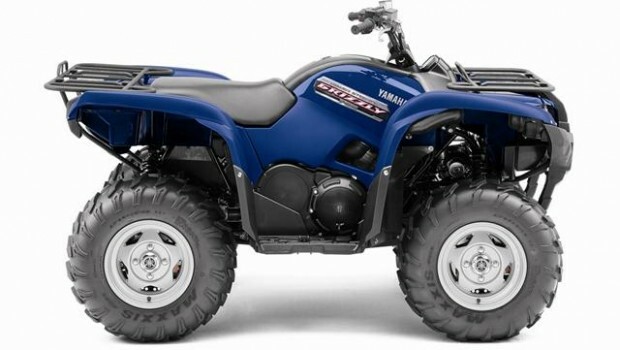 The Yamaha Fuel Injection system (YFI) improves throttle response throughout the powerband, helping the rider take advantage of the Grizzly’s low- to mid-range power. YFI offers unmatched performance at high elevation and in frigid weather as the system is able to detect and compensate for changes in altitude and temperature. The more precise fuel delivery offered by the YFI means clean power delivery, better throttle response and improved fuel economy under a multitude of riding situations. In addition, YFI means no choke and easier cold weather starting. On-Command™ indicator and EPS and fuel injection indicator lights. Comfort and convenience were also incorporated throughout the Grizzly 700 and 550. The air box is located on the top of the engine providing easier service access for the rider, and the fuel tank is placed under the seat for maximum centralization of mass. Keeping the ride comfortable while also allowing for maximum terrainability is fully independent and adjustable front and rear suspension with 7.1 inches of travel up front and a class-leading 9.5 inches in the rear. The Grizzly’s wide-arc A-arms provide 11.8 inches of more usable ground clearance. What’s more, the Grizzly 700 and 550 offer unmatched braking feel and power with four-wheel hydraulic disc brakes engaged by separate front and rear controls with hydraulic master cylinders mounted on the handle bars. The rear brake also has a right foot pedal control. The Grizzly also has a thick, plush seat and full floorboards for comfort and protection from the elements. The design of the floorboards also allows for better drainage of mud and water. Two water resistant storage boxes — one under the seat and another in the right front fender — offer plenty of storage. This is in addition to the 99 pounds and 187 pounds of carrying capacity on the front and rear racks, respectively, and the 1,322 pounds of towing. 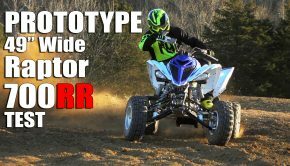 The ATV’s SecureMount rack system offers superior fit and finish with Genuine Yamaha Accessories that are designed to fit with factory quality. The Grizzly 700 and Grizzly 550 are also available without EPS. The 2012 models are available in Hunter Green, Steel Blue and Realtree™ AP Camouflage. In addition, the 2012 Grizzly 700 FI with EPS is available as a Special Edition in Metallic Sandstone with cast aluminum wheels, painted body panels and special graphics.